For years, online marketers have held up keyword optimization as the pinnacle of search engine strategies—but that doesn’t mean it should be your top strategy. While keywords still have value, Google’s latest algorithm updates have been pushing marketers to focus more on user intent rather than just specific keywords. So What Is User Intent All About? Back in the early days of the Internet, search engines were much less intuitive and much more literal. An Internet user might search for the term “coffee shops” in the hopes of finding a coffee shop near them, but the search engine couldn’t infer that this was their intention—rather, they would receive a list of results based on web pages that repeated the phrase “coffee shops” in their content. Now, however, web users are better at refining their search terms, and Google and other search engines are much better at figuring out user intent based on user demographics and popular search terms. 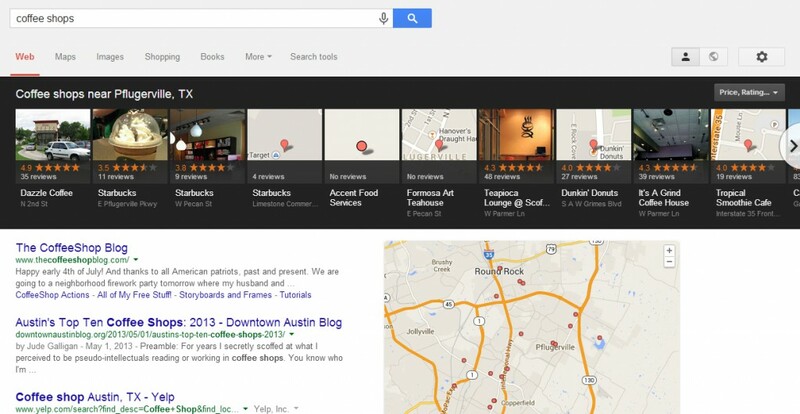 For instance, if you lived in Pflugerville, TX, and searched for “coffee shops,” the top results would most likely be for coffee shops in your area, even though you didn’t specifically say that you lived in Pflugerville or that you were searching for coffee shops because you wanted to go to one. The goal of these algorithm updates is to provide users with relevant content that answers their questions and meets their needs, rather than forcing users to mine through pages of search results for the content they were actually looking for. How Can Your Business Benefit from User Intent? Just like Google, you’re hopefully trying to meet your potential customers’ needs and provide relevant, helpful information. Businesses can’t afford to focus solely on keywords and ignore user intent, because focusing on keywords alone won’t necessarily allow you to attract the most relevant, ready-to-take-action audience to your web pages. User intent can help you better cater to your audience. To get started, research keywords to find out what kinds of terms that are relevant to your business are being searched for. 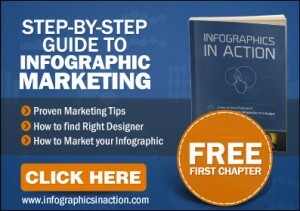 You may already be doing this as part of your SEO strategy, using a tool like Google Adwords. Instead of just taking the top results and sprinkling them across your landing pages, though, think about what people are really looking for when they enter that search term. For Example: Someone who searches for “inexpensive wedding décor” may be planning their wedding and working on a budget. They might also be interested in getting help planning their wedding on a budget, and if you are a wedding planner, you could take advantage of this by creating content in which you talk about how you help couples plan affordable weddings and track down inexpensive décor. User intent allows you to come up with better long-tail keywords. 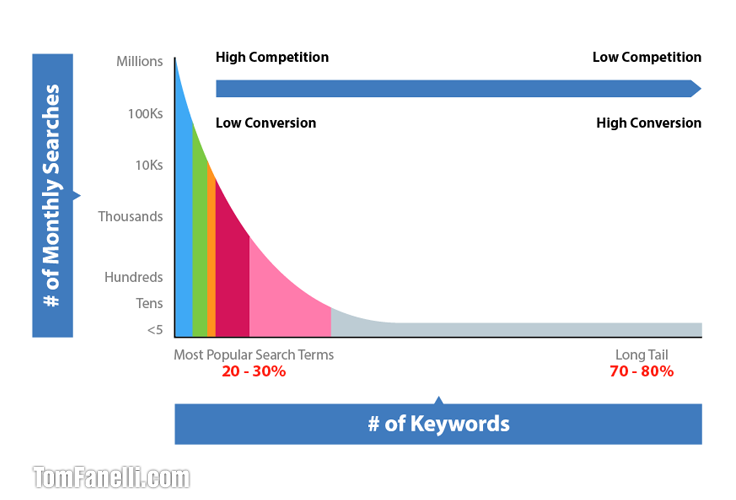 Inexperienced marketers often shy away from long-tail keywords because they worry that using such a specific keyword will significantly reduce the traffic directed to their web pages. While long-tail keywords may cut your audience down, it can give you a better base of more qualified (i.e. ready to buy or take some other action) site visitors. Thinking about user intent can help you come up with strong, relevant long-tail keywords that will attract the right site visitors. For Example: If you know that “how to groom your dog” is a popular search term in your industry, you might consider the specific reasons people are searching for that term—maybe they want to know how to groom a long-haired dog, or how to give their dog a haircut—and use those to craft your long-tail keywords. User intent helps you connect with local customers. If you run a small local business or any business that caters to a specific geographic area, user intent is one of the best things that has ever happened to your online marketing. Before Google got better at figuring out user intent, people who searched for a specific type of business might be faced with a first page of results that contained nothing near to them. Now, however, local businesses are better able to connect with local web users because of user intent. You can help drive more local traffic to your website by using the name of your town and city in your content, as well as using other region-specific terms. User intent can help you increase conversions. Hopefully the above points have already illustrated that thinking about user intent can help you increase your conversions. Think of user intent search optimization like a funnel: there’s a lot of web traffic out there, and not everyone is ready to buy or is even interested in your product or service. Crafting content based on what you think your ideal customers are interested in can help you drive the right traffic to your site and get more web users to take action as a result. While SEO keywords haven’t completely gone by the wayside, they shouldn’t be your only priority when crafting your strategy. Rather, focus on creating good content—blog posts, landing pages, videos, and more—that anticipates your customers’ wants and needs. In the process of creating this content, you should find yourself using strong keywords organically, and you can use your keyword tools to help you find synonyms or related terms that are frequently search for in order to make your content even more effective.